Are you looking for what to do on the island of Koh Phangan, Thailand? You are in the right place! 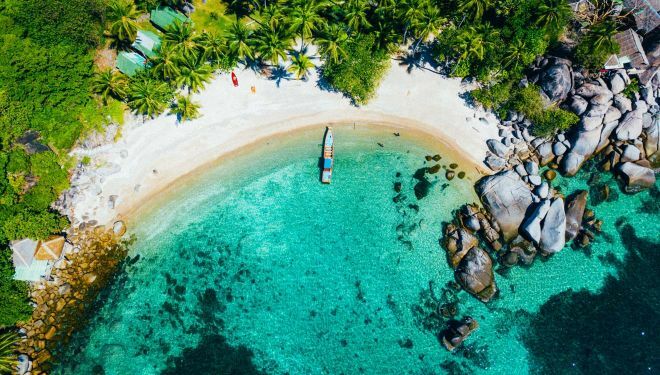 🙂 In this article you can find the 9 top things to do in Koh Phangan as well as some bonus things if you have more time! Except for the fact that I lived on the North of Thailand for some time, I did not know much about the most touristic part of the country – the islands, of course! The first one I have visited was Koh Phangan island (or Ko Pha Ngan). It was the right choice as it appeared to be my favorite Thai Island! I have stayed for enough days to make a compilation of the best things to do in Koh Phangan for you. I also selected a list of places to stay in Koh Phangan for all budgets! So, if you are thinking to go to Thailand soon or you are just curious about the activities you can do this paradise Island, read on, this article is for you! What will you need to pack for a trip to Koh Phangan? 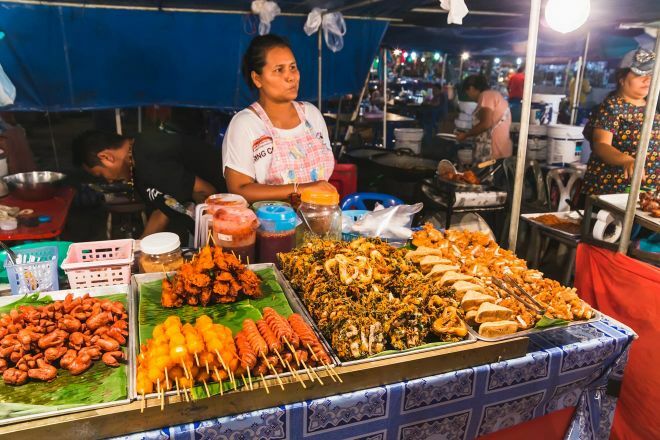 If you are foodie, Thong Sala Night Market will be your heaven while you are in Koh Phangan! Of course, I decided to go and check this place out and here is what I have to tell you – the night markets in Thailand are something special and you should witness them by yourself, especially because this Night Market is one of the best things to see in Koh Phangan! 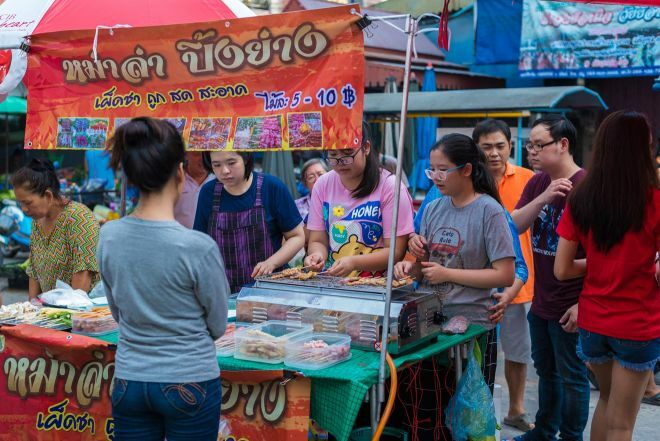 People in Thailand simply love night markets – they are a part of their culture and, besides that, you can buy pretty much anything there! So if you are searching for the perfect place to have dinner or a great spot to taste different traditional foods, the Night Market in Koh Phangan is the perfect place to go, as it is a food market full of countless delicious options, from traditional Thai food to falafel, noodles, sushi, pizza, and grilled fish. While you are there, don’t forget to try some seafood dishes, everything is mouth-watering and fresh! The Night Market opens at 4 PM and it is open until late at night. NOTE: The market is also known as “Panthip Market” to locals. PRICE: Admission is of course free. If you want to have dinner and a drink there, it will cost you around 150-200 Baht (5-6 US$). RELATED READ: Going to Bangkok as well? Find out about The 5 best areas to stay in the city (with hotels and prices)! In case you are searching for some unique, unusual things to do on the island, I have a suggestion! One interesting place that I enjoyed very much was the Herbal Sauna Baan Tai. It is located here, right near the biggest tree on the island. And I don’t just mean a big tree! This special tree has been there for centuries and it has more than 14 meters (42 feet) diameter. If that doesn’t mean anything to you, just imagine it is wider than an average car! The Baan Thai sauna was founded by the monks from Wat Pho Temple and it is located in a nice garden. You can also have a massage there if you wish. PRO TIP: The sauna is open from 2 PM to 9 PM. I advise you to try and get there after 6 PM, as the sauna is too hot to enjoy in the middle of the day. In my humble opinion, there is no other place in this world where the sunset is more beautiful than in Koh Phangan! And what better thing to do at the end of a day full of exploration? There are so many great spots to enjoy the sunset on Koh Phangan, but the best one I found was at the Amsterdam bar. While you are there, you can enjoy a breath-taking sunset while sipping your drink in the swimming pool. A DJ is playing in the background, and there is always a good mix of interesting people around. Sounds just about perfect, right? If you aren’t able to make it to Amsterdam Bar, another amazing place to see the sunset is Secret Mountain – a very good restaurant that serves local food. Go at the Secret Mountain in Koh Phangan during the evening to have a drink and eat some Thai food, then admire the sunset. Many photo opportunities included, of course! PRICE: Entrance is free for both places, so you will only have to pay for what you consume. This is one of the best Koh Phangan activities for all the party animals out there! 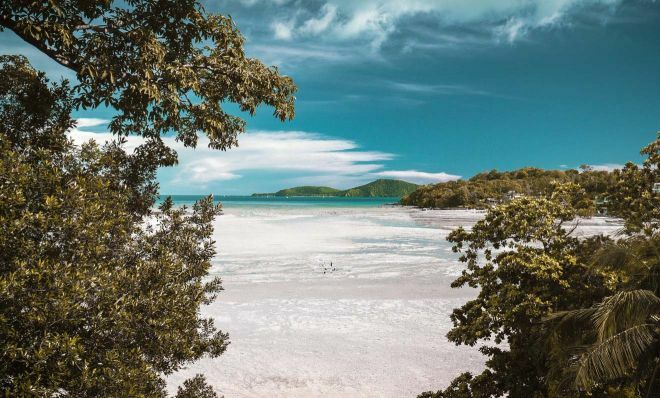 I am absolutely sure you heard about the world-famous Full Moon Party in Koh Phangan – after all, this monthly party the main reason why this island is so famous! You can find the dates here. But what if you happen to miss the Full Moon Party because you won’t be on the island during its dates? No worries! You can still attend a Half Moon Party! The Half Moon Party in Koh Phangan has three stages for different types of music – funky, hip-hop and psy-trance, with many DJs and night-long fun! The Half Moon Party if Koh Phangan takes place every month, twice a month, so there are big chances you will be able to join! PRICE: The general admission ticket is 1.500 Baht (47 US$) at the gates and 1.390 Baht (44 US$) online if you buy it from their website here. The ticket includes access to the party, 1 free drink and a Half Moon Party neck strap. While in Kog Phangan, you must spend some relaxing time on the beach, of course! This superb Koh Phangan beach happened to be just near my resort and it is probably the most special beach on the island! Why? Because Mae Haat is the place where 2 different currents meet. This means the water has two different shades of water and it is separated by a small strip of land which, during high tide, turns into a natural bridge! During low tide, the place feels even more unique as you can literally walk on water. Mae Haat is located on the North of the island, and I think you will love it as much as I did! This one is by far my favorite out of all Koh Phangan beaches! The reason why I love it so much is because it is quite hidden and not touristic – this was probably what I liked the most about it! It is a quiet and serene beach and the water is really warm and the sand is really soft and white. The beach is located on the North of the island and it is about 2km long. In the center of it you will find Chaloklum village, which is a nice little fishing village, so there will be no drunk tourists or loud music – which means you will have that emerald water for just for yourself! Perfect place to go if you want an off-the-beaten-track relaxing place! If you love Asian food, then you will definitely love Thai food as well! I ate traditional Thai food for 3 months in a row while I lived in Thailand and I was always eager to learn how do they cook the famous Pad Thai and other famous dishes! 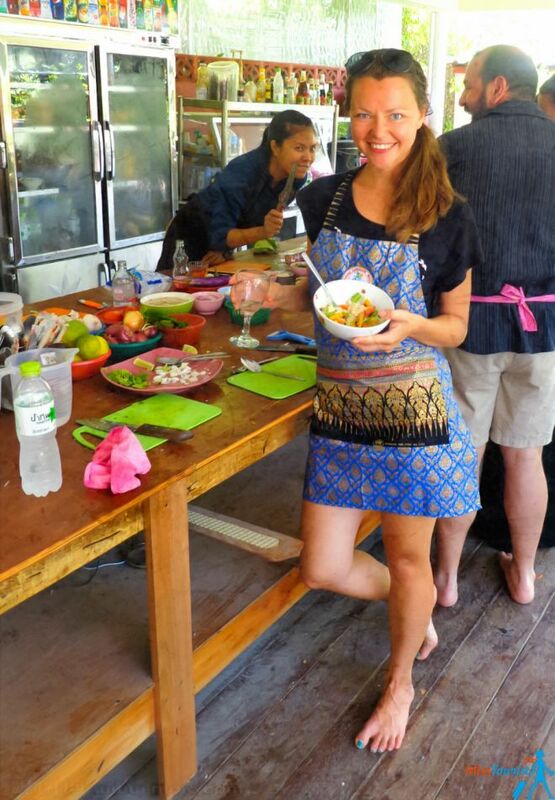 My dream finally came true when I took part in a cooking class with C&M Study Center and I consider this to be one of the absolute must do’s in Thailand even if you are there just for a couple of days! The girls at the cooking class made me feel at home, we cooked 5 delicious dishes of our choice and it was so much fun! The owners are two sisters together with their expert staff they made me feel great at their class! The kitchen is an open area, it is fully equipped and located in a picturesque corner near a lake. At the end, I also received hand-outs of what I cooked, which was very nice! 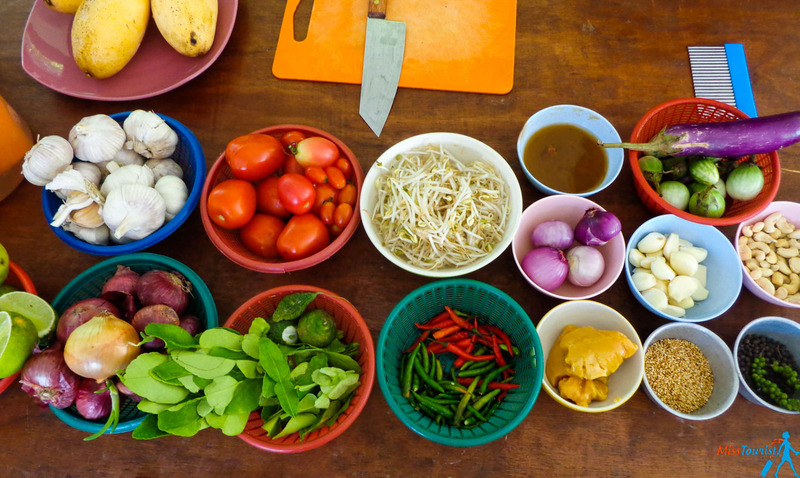 NOTE: You can also take different Thai cooking classes in other parts of Thailand as well, such as Bangkok, Koh Samui, Phuket, Chiang Mai and more! If you are feeling adventurous and you want to discover more of the island, taking a boat trip might be the perfect solution for you! My day began at 8 AM when I was picked up from my hotel. After a nice breakfast on the boat, a charismatic captain told us the itinerary – a full day of adventure awaited us! My day was really full of fun and I can recommend this activity to anyone! When I dropped off at my bungalow, just before the sunset, I was tired but really satisfied. PRO TIP: Don’t forget your sunblock! Actually, if you are going to snorkel, you might want to get your own snorkel mask to have with you! The ones on the tours are not that great and they are always used by other people before, which I don’t consider to be very hygienic. NOTE: If you want to go further and snorkel the coral reefs in Koh Tao, I recommend taking this tour! PRICE: The price ranges from 800 Baht (25 US$) to 1.900 Baht (60 US$) depending on your chosen boat trip. If you can’t find a free spot with Orion boat trips for your desired date, you can check out this tour, as it includes pretty much the same thing. Another very good option would be to book a speedboat tour that will take you on a day trip to Koh Tao and Koh Nang Yuan! Besides parties and many wonderful white sand beaches, the island hosts 7 waterfalls that are just waiting to be discovered! 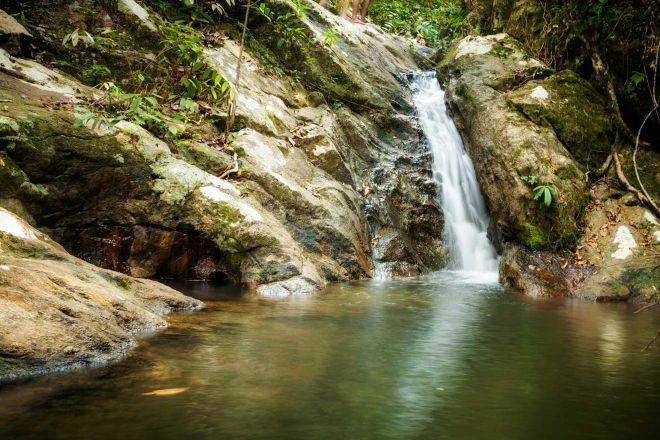 The waterfalls are actually some of the best Koh Phangan attractions so you should make sure you do not miss them! Some beautiful and easily accessible waterfalls that I can recommend are Paradise Waterfall (close to Chaloklum Bay), Than Sadet Waterfall and Than Prawet Waterfall (both of them close to Thong Nai Pan beach). NOTE: Most of the waterfalls on the island will dry up during rain. Renting a scooter during your stay on the island might be one of the best choices! As the island is quite big and the places are remote, this option will give you the freedom to explore it at your own pace. This is also one of the cheapest means of transport on the island! The price for the taxi (if you bargain) will be around 200 Baht (6.5 US$) per person one-way. Whilst for my bike I paid 150 baht a day (4.7 US$). So why not rent it, if you can pay less and have infinite freedom? 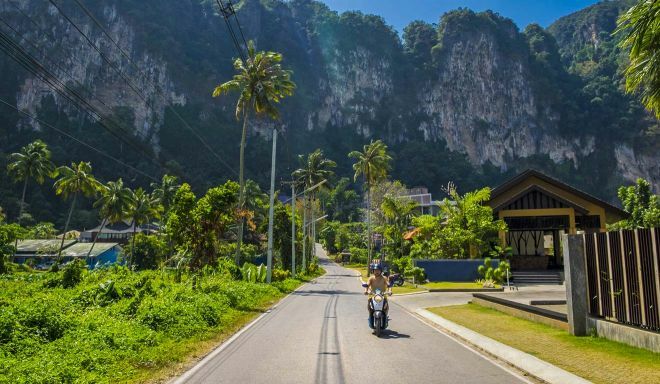 You can easily find a motorbike rental place in Koh Phangan. PRO TIP: Make sure to wear a helmet and don’t drive too fast – safety comes first! You should also consider taking photos of the motorbike before renting it, so you won’t have to pay for potential “damage” for nothing. I recommend you go for a ride on Mae Hong Son Loop – it is one of the most beautiful roads on the island and it is perfect for motorbikes! ATTENTION: Challenge Phangan is currently closed for renovation. Now this is definitely one of the most fun things to do in Koh Phangan and a great activity to do with your friends! Challenge Phangan is an adventure obstacle course on water (similar to the ones in the TV shows) where you will be able to test your limits and have fun at the same time! The obstacle course includes rope swings, rolling barrels, big red balls and more. Everything is safe, as you will always land in water. Children under the age of 18 must wear a life-jacket and kids under 10 years old must be assisted by an adult at all times. Challenge Phangan is open from 10 AM to 6 PM. 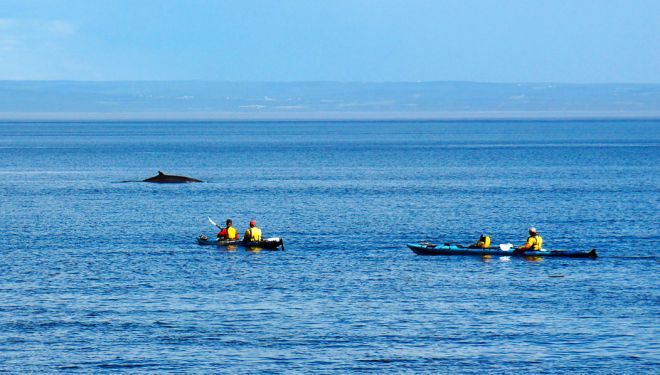 I mentioned that I did some kayaking during my boat tour, but you can actually rent a kayak on almost any beach on the island if you want to try it by yourself! 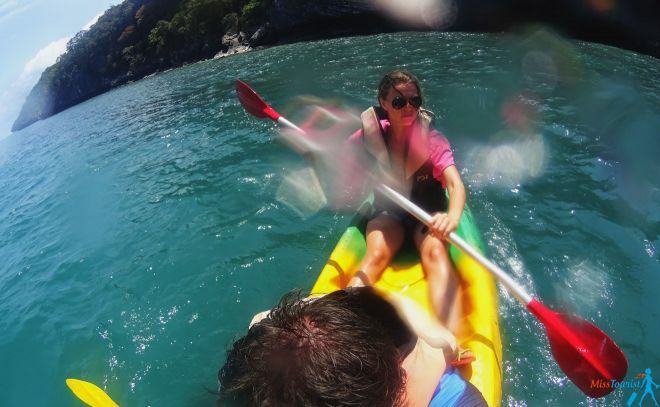 PRO TIP: Make sure to ask the staff about the currents before you rent your kayak on the beach! Make sure you have life jackets on the boat as well. I recommend departing from Wok Tum beach in the direction of Koh Ma (West coast of the island). This area doesn’t have strong currents and it is usually safe. PRICE: Around 150 Baht (4.7 US$)/hour. You can rent a kayak directly on the beach. Besides partying and lying on the beach, snorkeling and diving are two of the best things to do in Koh Phangan! Sail Rock is located between Koh Phangan and Koh Tao and it is known to be as the best diving site in Thailand! The best part about it? It is located very close to Koh Phangan (approximately one hour by boat). 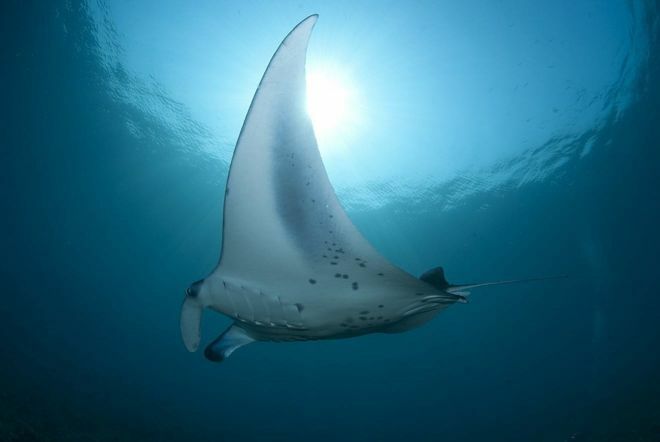 If you decide to try diving here, you will most probably see whale sharks and manta rays, among other fascinating marine creatures. Plus, this diving spot is fit for all divers, regardless of their experience! No wonder why diving here is considered to be one of the best things to do in Thailand! PRICE: Ranges from 1.200 Baht (38 US$) to 3.000 Baht (95 US$) depending on location and how many dives you want to take. You can check the available tours here. 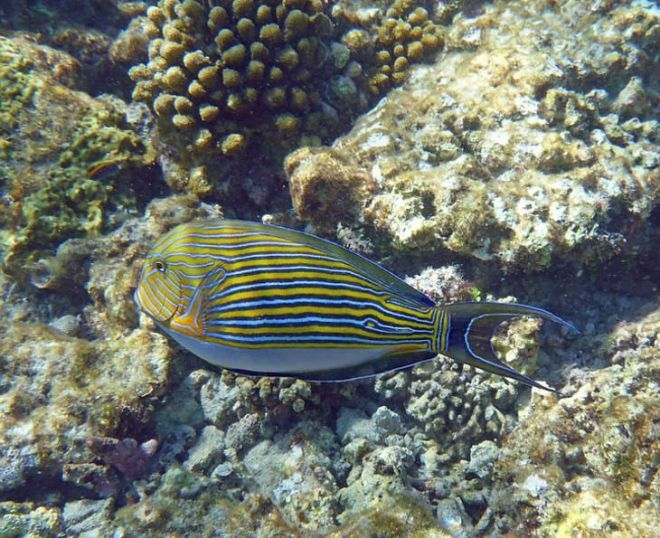 Do you want to see corals, manta rays and colorful fish during your vacation? Then you should definitely try snorkeling at Mae Haad Beach! Mae Haad beach is the place where you will do the best snorkeling in Koh Phangan! It is located in the North-West area of the island and it is easily reachable. It is also one of the best snorkeling spots, so I definitely recommend it! 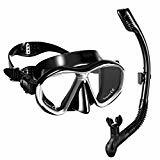 As I mentioned before, in case you decide to go snorkeling, I advise you to bring your own snorkel mask. PRICE: free. Just take your mask and explore the marine wildlife! You can also rent a snorkeling mask on the beach for 50 Baht (1.5 US$)/hour. You probably wouldn’t expect hiking to be one of the best activities in Koh Phangan, right? Well, this party paradise is surprising like that! You can hike up to Khao Ra Mountain – it is nice and enjoyable! The entire hike takes about 3 hours to go and return and it is very easy in terms of difficulty and orientation. It starts at Khao Ra Retreat and you can follow the marked path for the hike. PRO TIP: I advise you go hiking in the morning or in the evening, so you can avoid the strong sun and heat. Make sure to bring some snacks and plenty of water with you as well. Are you tired of partying, swimming, diving and exploring everything Koh Phangan has to offer! Then it is time for some detox and relaxation! The Yoga Retreat is a very popular place on the island where you can practice yoga, meditation, eat delicious vegan food and just relax! This yoga retreat is located in a very calm and picturesque place in the jungle, only 10 minutes away by walking from Haad Salad beach, so it is perfect if you want to get away from the loud music and parties! 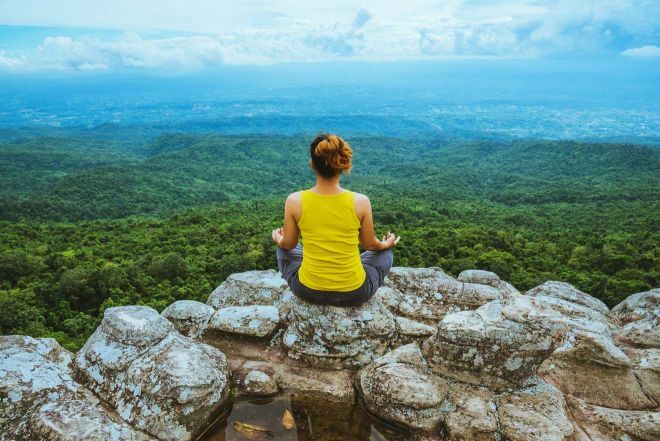 NOTE: In case you have more time on hand and you are keen on the idea, you can also take a 6-days yoga retreat (this is the minimum amount of days for the package). Otherwise, you can just join the daily yoga classes and stretch your muscles. PRICE: A 1h30’ yoga class is 400 Baht (13 US$) and the yoga retreat packages start at 7.000 Baht (220 US$) for 6 days. 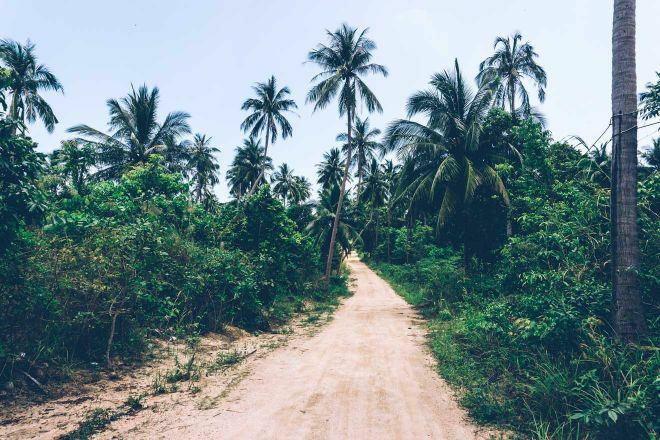 If you feel like you are done with all the best things to do in Koh Phangan (although I can hardly believe it) or you just want to visit the surrounding area as well, heading out to Koh Tao is a great idea! 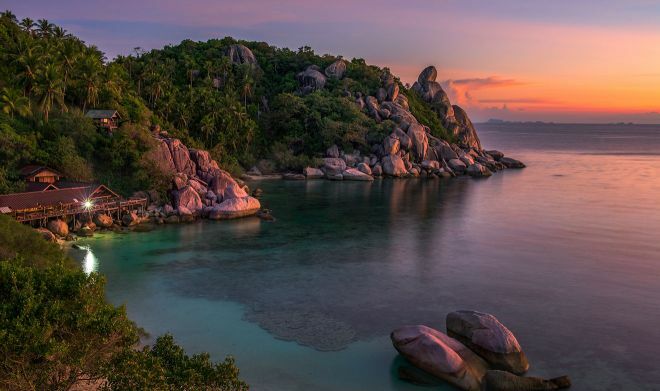 Koh Tao is also known as the “Turtle Island” and it is much smaller than Koh Phangan. But this doesn’t mean it has to be boring! You can just explore the island at your own pace, do snorkeling or scuba diving and more! If you decide to go there, you can take a boat from Haad Rin or Thong Sala piers. The boats leave regularly and the price for the ride is 400 Baht (12 US$) one-way. You can also visit it if you book a speedboat tour that offers a day trip to Koh Tao and Koh Nang Yuan! 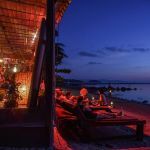 I am sure you noticed in the title of the article that I am trying to recommend some great things to do besides the most popular activity on Koh Phangan: the Full Moon Party! In case you don’t know what this is, let me explain. Most of the tourists come to the island for this big party-festival that takes place once a month and it awaits around 30.000 party people every time! 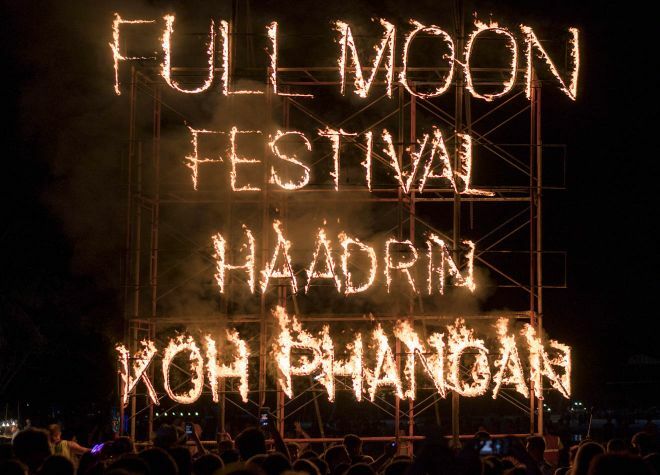 The Full Moon Party in Koh Phangan is hosted on Haad Rin Beach and the popular activities at the party include drinking (of course! ), painting yourself in UV paint and dancing around until the sun rises! If you are a party animal, this is definitely your place to be! PRO TIP: Don’t bring any expensive items or bags with you at the party, but make sure to take a copy of your passport (not the original). PRICE: The entrance is 100 Baht (3 US$). Here is the monthly schedule. The tickets are available to buy at the entrance of the party. 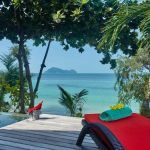 A 5-star luxury Koh Phangan accommodation, just like Heaven on Earth! During your stay you can enjoy the pools, garden or seaside suite options. Another 5-star dreamy retreat hidden among tropical greenery. This great Koh Phangan resort offers luxury furnishings and perfect service! This is basically a luxurious oasis featuring a spa, a private beach, and an infinity pool. Definitely a great experience! Great resort located on Sri Thanu beach. Each room has its own spacious balcony and a delicious breakfast is served at the hotel each morning! This great, middle-priced accommodation offers clean and cozy chalets on a private beach area, perfect for 2 people traveling on the island! The same type of accommodation as the previous one. 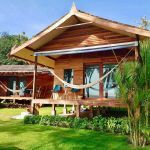 These Koh Phangan bungalows will also give you access to a nice terrace and garden! 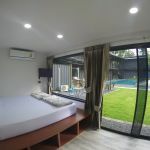 A great option where you can book beds in dormitory rooms and you can have a very pleasant stay. 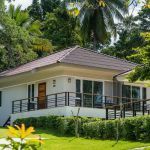 Thai-style bungalows and villas that you can choose from. 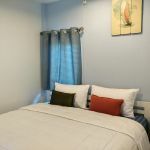 The rooms are clean and cozy and you’ll get free Wi-Fi as well! Budget accommodation with good service, including a garden, a terrace and a bar. Plus, the location is very good! You are probably wondering how to get to Koh Phangan, right? The most popular route of getting to Koh Phangan is from Bangkok. There are different ways to get there, which I will list below, but if you want to quickly create the most convenient route for your dates and budget, you can do so using 12go.Asia. The closest airport to Koh Phangan is Koh Samui. You can fly there with Bangkok Airways from BKK Bangkok International Airport. After this, you can take a taxi to the Big Buddha Pier where you can take a ferry from Koh Samui to Koh Phangan. There are at least 3 ferries/day, the last one departs at 5.30 PM. You can find an airplane ticket and the joint ticket for the taxi + ferry on 12go Asia website. Take a plane (Airasia, Nok Air or Thai Airways) to Surat Thani, then take a short bus transfer to the pier and then a boat ride to Koh Phangan. You can buy the complete one-way or roundtrip using 12go.asia here. It is best to book the entire trip (plane + bus + boat) because it will be overall cheaper than buying the tickets individually. Another option would be to take a night train to Surat Thani from Bangkok. 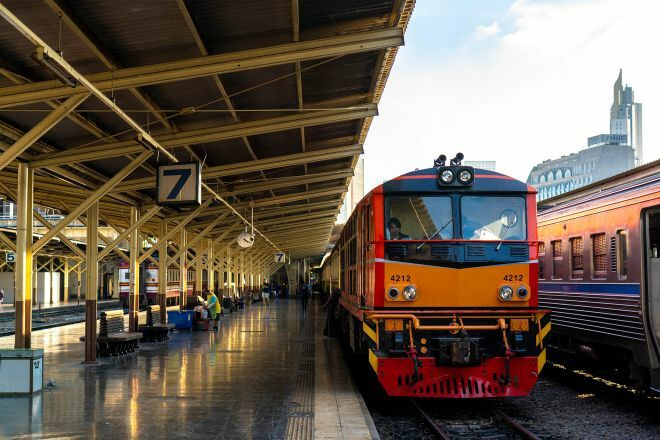 If you decide to take a train, you should know that Bangkok has about 4 night trains that depart in that direction, so you will have multiple options to choose from. After you reach Surat Thani, you need to take a bus to the Pier and then a boat to Koh Phangan, just like in the option mentioned above. The approximate price for the one-way route is from 20 US$ to 50 US$ depending on the hour and how far in advance you book your tickets. You can book your complete transfer using this website here. NOTE: I recommend booking the return train ticket (Surat Thani to Bangkok) in advance, as they easily sold out during high season. Taking a night bus is the most cost-efficient way of getting to the island, but it will also take the longest. If you book a VIP bus with reclinable seats, it might actually be a good idea because it is quite comfy and doing the road during the night actually means saving time for you. The night buses leave at around 8 PM from Bangkok (Khaosan Road) and they have comfy chairs so you can sleep during the ride. You will arrive at Surat Thani in the morning, where you need to take the boat to Koh Phangan. The price is around 700-900 Baht for the combo ticket (22-28 US$). 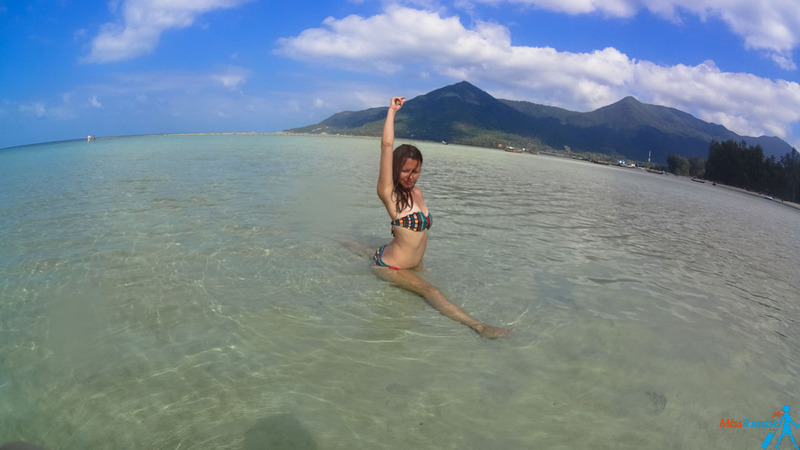 This was my complete list of what to do in Koh Phangan! Even though the island is famous for its Full Moon Party, there are numerous other activities there fit for any kind of traveler! 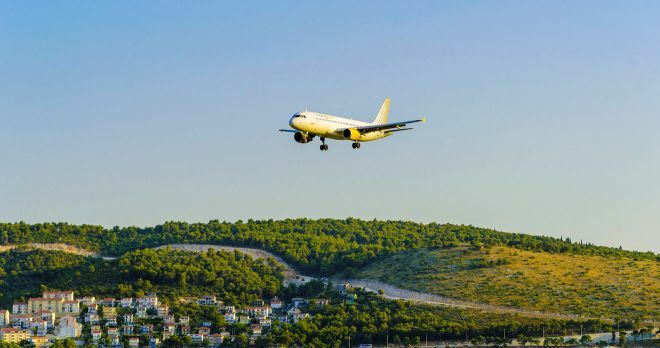 Besides these 9 recommendations, I also wrote about some great bonus things to do if you have more time and some useful information such as where to stay on the island and how to get there. Are you going to the North of Thailand as well? I lived there, so I have some good articles for you, as well as about Bangkok! Have you been to Koh Phangan? Would you like to know more about it? If you have further questions you can add them in the comment section below, I love hearing from my readers! I was apprehensive about visiting Koh Phangan because of it’s reputation as a party island. But we went in low season and found it to be onset fully tranquil and relaxing! Those beaches look absolutely stunning – what beautiful places! Hi yulia. this is really useful. im so going to visit all the places. How do i get from phuket to koh phangan ?? Hi Ella, thanks for the comment! You can take a ferry from Phuket to Koh Phangan, that would be the best option. You can either buy it at the place, you book it with the pick up service from your hotel here. This is not fully correct. 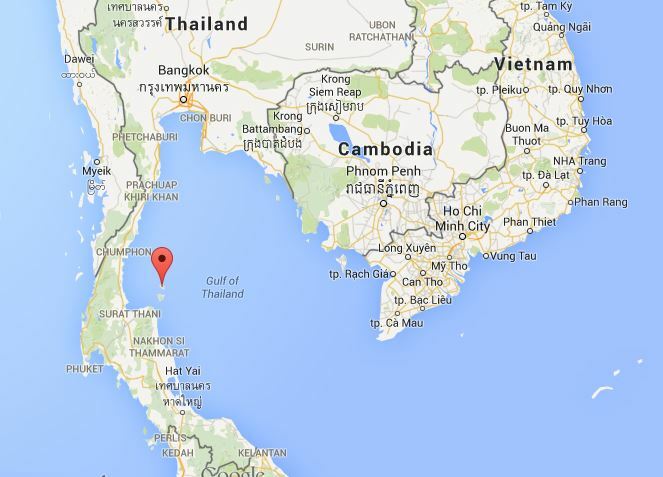 From Phuket you must first take a bus or coach to Surat Thani where the ferry docks. Great tips, thanks so much! This is fantastic information and has helped me plan my trip there next year! thank you for all your tips and pointers! really helpful! I’m travelling alone. 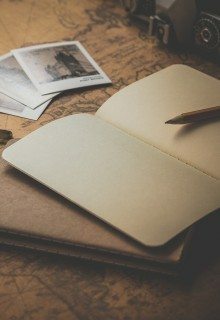 Are there plenty of solo travellers? Oh, there are plenty of solo travelers there, no worries! I am thinking about going in AUgust with my hubby and the place looks fab . We only enjoy peace and quiet and this Moon party is worring me slightly and worried it may be a busy resort .We are looking to stay at the Cookie Salad resort and wondered if you knew of it ? Also do you know how the weather is at that time of year ? I have googled it and think it could be the rainy period ? Your help will be appreciated . About the weather – you really never know when it is going to rain in SE Asia, so I would just take a chance and go! 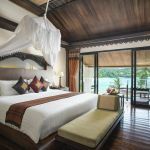 I stayed in Phangan Utopis Resort and I can REALLY recommend it as a beautiful secluded place! The dates I am traveling to Thailand are neither Half Moon nor Full Moon. I really wanna party hard. Would you still recommend me to visit Koh Phangan? How’s the crowd density on these days? Yes, there are always parties on Koh Phangan, even if it happens to be between the Moon dates. I really like your article! I will travel to Koh Phangan in September all by myself and I am a bit worried about my safety as a solo female traveler. I read everywhere that one should rent a bike to get around easily, but for instance in the Lonely Planet guide I read that it is very dangerous to ride a bike in Koh Phangan or Koh Samui if you have never done it before, and indeed I am a bloody beginner. What do you think about this? 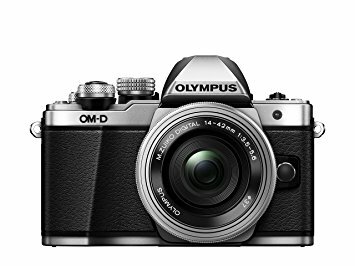 Is it a good idea to rent a bike there even as a beginner? Also, I was wondering if I go to the nightmarket in Thongsala, and go back to my accomodation in the dark with the bike, is that safe as a women? It is pretty safe to travel in Thailand for women, no worries about that. When I started to drive a motorbike, my friend showed me how to do it a couple of time. but sooner or later I had to go on my own, that is the only was to practice. I recommend going very slow in the beginning to gain experience and avoid night time until you feel like you are experienced enough. I am sure it will come in a couple of days if not earlier! PS I am in Bali now, where I also drive a motorbike. But even if I have way more experience by now, I am still super careful, I dont go too fast if it s not needed etc. That is what happened to me too! We had a secluded place far from the hustle of the Full Moon Party and I LOVED the island! I think it is y fav from all the Thai islands! Is it possible to rent mountain bikes? Certainly yes, but i dont know any place as a was driving a motorbike, sorry! The easiest way would be to fly to Koh Samui and take a boat from there! We chose to stay at Utopia because of your suggestion. We are terrified to sleep here because of all the bugs and just the overall non cleanliness. The staff are so incredibly nice and we feel so bad, but we are going to stay one of the two nights we booked and we are booking it out of here in the morning. I am so sorry about your experience! I have stayed there a couple of years ago and I loved it. It might be that it changed during these years and I will take it down if I will hear more complaints from my readers. I hope you are having a great vacation nevertheless! Thanku so much for the suggestions. it helped me a lot. but i need to know few more things from you. Next week I will return to Koh Phangan for the 3rd time. I am sure many of there blog readers will appreciate it! Thank you for your suggestions. Great job. 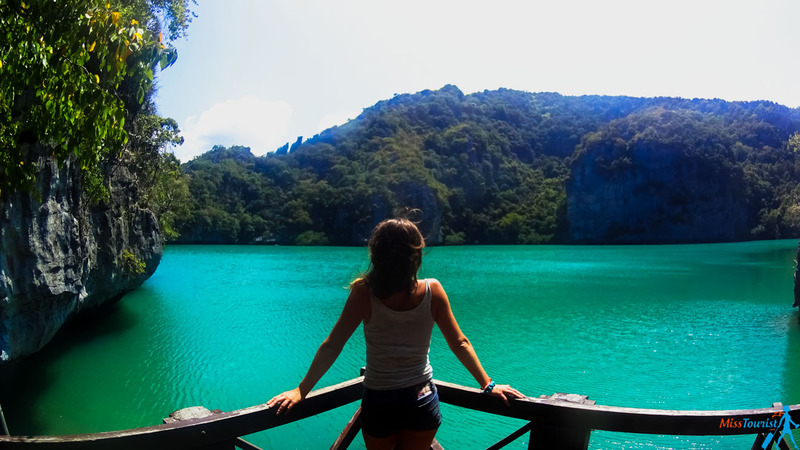 We have total 10days in Thailand and would like to see and relax in some beautiful islands. We planned our travel in Feb 2018 and would like to know what is the best plan to go to Krabi and Ko Phangan from Bangkok? that is, Bkk -> Krabi -> Ko Phangan or Bkk->Ko Phangan->Krabi? Hey Yulia, Im looking at February 2018. Do other Thais go to Koh Phangan or is it totally over run with tourists? But you are forgetting the best palce on the island – haad yao beach. I was ther in Feb-Mar with my husband and we are going back again in feb 2018. Its a wonderful beach so relaxing and quiet. Lot of good restaurants right on the beach and som good huts to stay in. Its on the vest coast so you have the perfect view to the beatufyl sunset. Thank you for the suggestion, Melanie! Love the post, it was so informative! I heard this island caters to Vegans very well, is there certain town or part of the island that is geared more towards vegans? Also, do you have the a name of a scooter rental service on the island and Phuket? Hi Yulia, great article, a great read to plan my trip to Phangan. I am planning a trip either on July or August, would those be a good month? Also, which part of the island is the party area, because i would prefer not to be there, as am looking at a more tranquil and relaxing trip rather than the opposite. Other than the 3 great value for money hotels, are there any others you might recommend, because initially i liked Utopia but saw some comments on the bugs, not a fan of those! Yes, you should look at hotels located on the north of the island, that s the calmest area in my opinion. 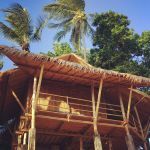 In fact, I have a post where i talk about good hotels to stay in Koh Phangan, be sure to check it out! Hi Yulia, we’re staying at Koh Phangan for six days with our three children (7, 12 nd 14 years). What woud be the best way to travel on the island? I read somewhere that the inland wildlife is quite interesting. Would you recommend a (guided) hike? Thanks in advance. Congratulations on going to Koh Phangan, it is a wonderful destination! The best way to travel on the island is usually a scooter, but because you are traveling with your 3 children I would recommend renting a car, as it would be the most convenient option. You can rent it on this website and then take the car from the airport where you will arrive. Regarding the hikes/treks, you can find guides that can organize a trek for you at Phaeng Waterfall National Park, it will be around 500 Baht/day. Here is the phone number of the park where you can call and ask for more information: 077 238275. Make sure to check if the paths are safe for children. Another place where you can find guided treks is this one: on the road from Ban Khai to Thong Nai Pan there is a store. It is owned by a local named Pii Kwan Chai and he is known for organizing treks. You can call him as well and find out more about his services: 01-0868479. In case you need more information, on this website and on this one too you find all about trekking in Koh Phangan. Yay! This all looks good to me. I can’t wait to go to Koh Pangan next month. I am going to KP in April, and I want to take the boat trip but unfortunately I don’t have a lot of time I wanted to know how long was the trip. I checked their website but they don’t post that jnfornatikn, I also wrote ti them but haven’t had an answer yet, maybe you can help me out. not sure what boat trip are you talking about? There are some day trips around the island, there are ferries to Koh Samiu and more far away destinations, so I am not sure what are you interested in exactly?